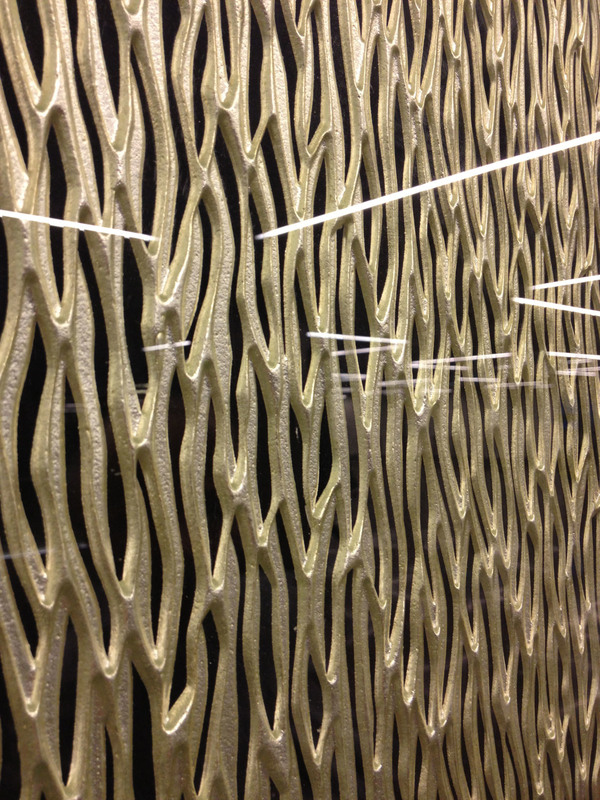 EDITION FRITZ SPATNY - at a major French trade fair for interior design in Paris. Together with Wien Products and outstanding traditional vieneese craft companies (Lobmeyr, Jarosinski & Vaugoin, Spolia, Woka Lamps and Zur Schwäbischen Jungfrau and many more) we are presenting our glass and surface creations at a major French trade fair for interior design Maison et Objet in Paris. In the name and the tradition of our founder Fritz Spatny, we present our historical and art deco patterns and surface designs to the european market. 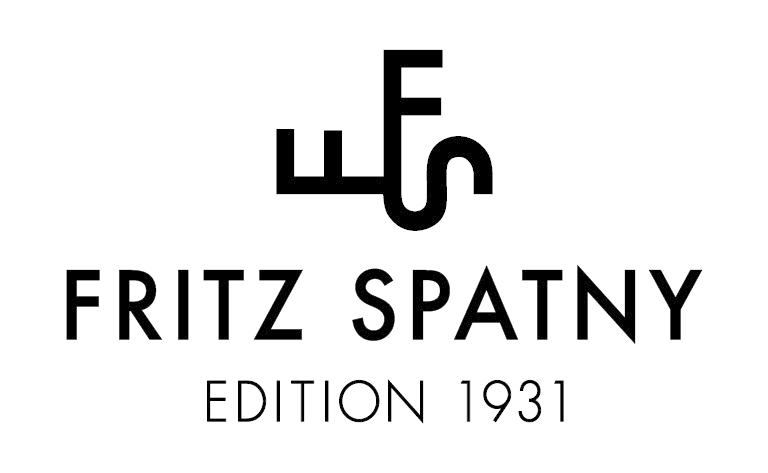 5 days long we show the combination of old handcraft technique and new innovativ ideas and the implementation on glas, metal, wood, plastics and stone, and connect handcraft and innovation in exclusive products in art and industry - The EDITION FRITZ SPATNY - since 1931. EDITION FRITZ SPATNY - at the biggest north american design and luxury show in New York! Together with Wien Products and outstanding traditional vieneese craft companies (Lobmeyr, Jarosinski & Vaugoin, KB Collection, Spolia, Woka Lamps and Zur Schwäbischen Jungfrau and many more) we are presenting our glass and surface creations at the biggest north american design and luxury show. In the name and the tradition of our founder Fritz Spatny, we present our historical and art deco patterns and surface designs to the american market. 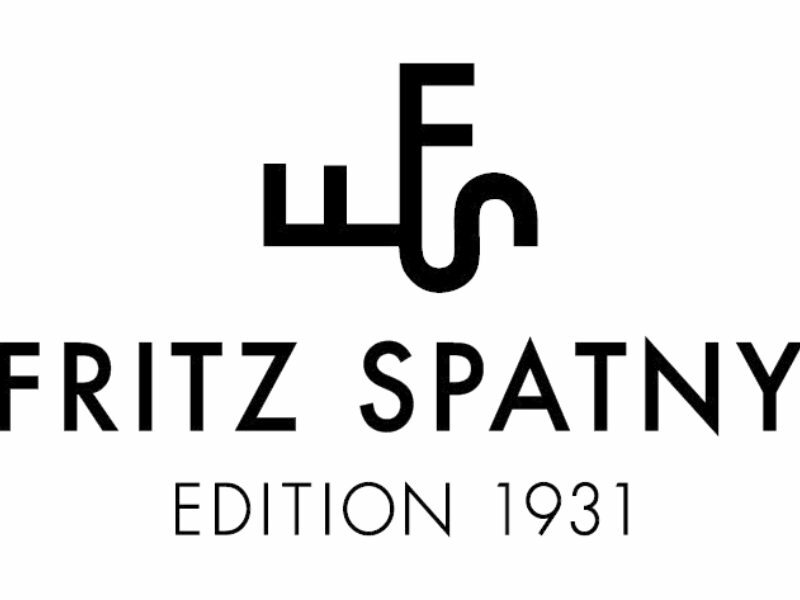 4 days long we show the combination of old handcraft technique and new innovativ ideas and the implementation on glas, metal, wood, plastics and stone, and connect handcraft and innovation in exclusive products in art and industry - The EDITION FRITZ SPATNY - since 1931. EDITION FRITZ SPATNY - on the biggest asian design show in Shanghai! Together with Wien Products and outstanding traditional vieneese craft companies (Lobmeyr, Jarosinski & Vaugoin, KB Collection, Spolia, Woka Lamps and Zur Schwäbischen Jungfrau) we are presenting our glass and surface creations at the biggest asian design show. In the name and the tradition of our founder Fritz Spatny, we present our historical and art deco patterns and surface designs to the asian market. Fine artisan workshops and factories give you an insight into the production process of their masterpieces. and will be present at this year's Masterpiece Collection at Novomaticforum! The combination of this old technology with new innovative ideas and implementations on glass, metal, wood, plastic and stone gives exclusive products in the artistic and technical area. The EDITION FRITZ SPATNY thus combines craftsmanship and innovation in a special way. The company founder is the publisher of the edition! 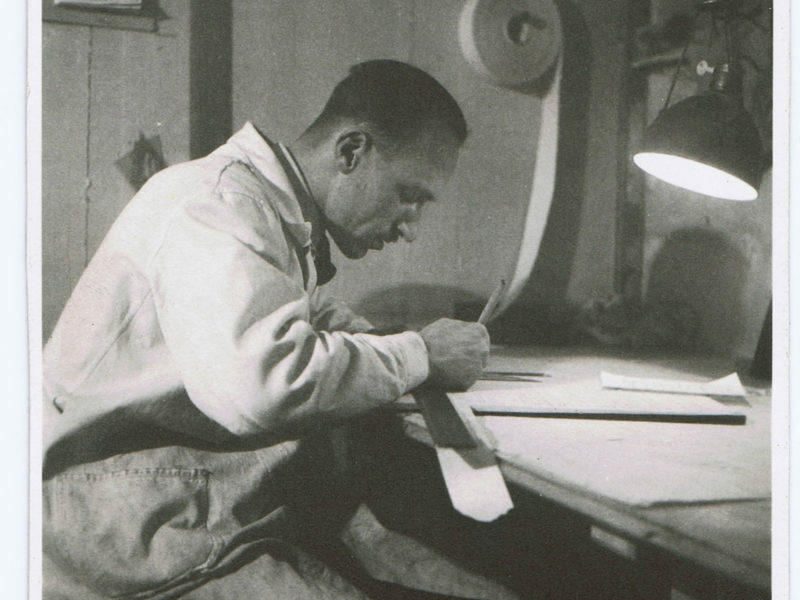 In 1931, engineer Fritz Spatny founded his sandblasting shop. At that time, the main focuses of the business were Art Nouveau glass, gravestones & memorial plaques onto which adopted patterns or self-drawn drafts were applied. The edition is named after the company founder! The preservation of this traditional craft has been a priority for me since I joined the company, and I also saw the great potential for new possibilities and deployment in emerging markets. The technology of sandblasting itself cannot be changed or improved significantly, but it is possible to extend its use and development to new applications and products. Together with the innovative spirit of our master joinery, new products and innovations are created constantly, making us patent-ready among other things. This spirit and the pursuit of new and high-quality products keep us going, and I wanted to dedicate this brand to the company's founder, engineer Fritz Spatny, a brand which seeks to incorporate tradition, innovation, as well as sustainability. Collecting, archiving and cataloging hundreds of designs, blueprints, sandblasting replicas and as well as examples from older catalogs, followed by the reorganization of countless samples, in order to create one of the most comprehensive sandblasting catalogs available anywhere. The use of new digital technologies cannot replace the traditional craftsmanship that fewer and fewer people now master. These new technologies merely serve as a supplement, or addition to, traditional craftsmanship and techniques which continue to still be the backbone of the industry. With this in mind, we harken back to where it all began and in the spirit of engineer Fritz Spatny! 1931 – All techniques were carried out manually! In those days even the cover foils were self-manufactured, which then protected the glass surface from the strong sandblast. There were no ready-made foil blueprints. To manufacture these foils, pearl glue was heated above a water-bath, big sheets of paper were put on a stone slab, and the hot pearl glue solution was applied with a paintbrush. After this, every sheet was hung up separately on a wooden rake for an entire day to let it dry. Following the drying process, the stencil papers were moistened and heated up to then apply to glass. This kind of stencil paper technique was used up until the 1990s. Wonderful patterns and letterings were drawn directly onto stencil sheets and cut out free-hand or with the help of stencils. 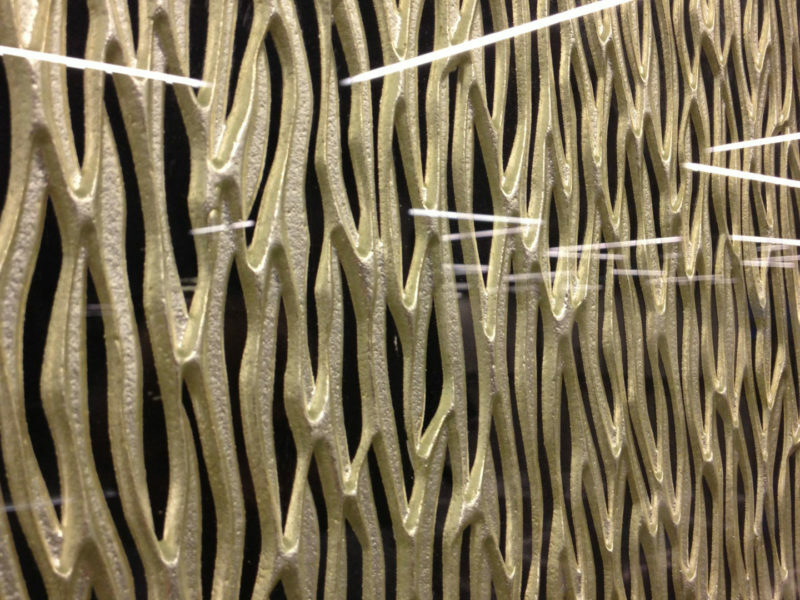 Using this method, the exposed glass surfaces could be frosted, while the remaining stencil paper served as a protection against the strong sandblast. After the blasting, each glass pane was put into a water basin, and the stencil papers were dissolved and any remaining residue then cleaned off the glass. 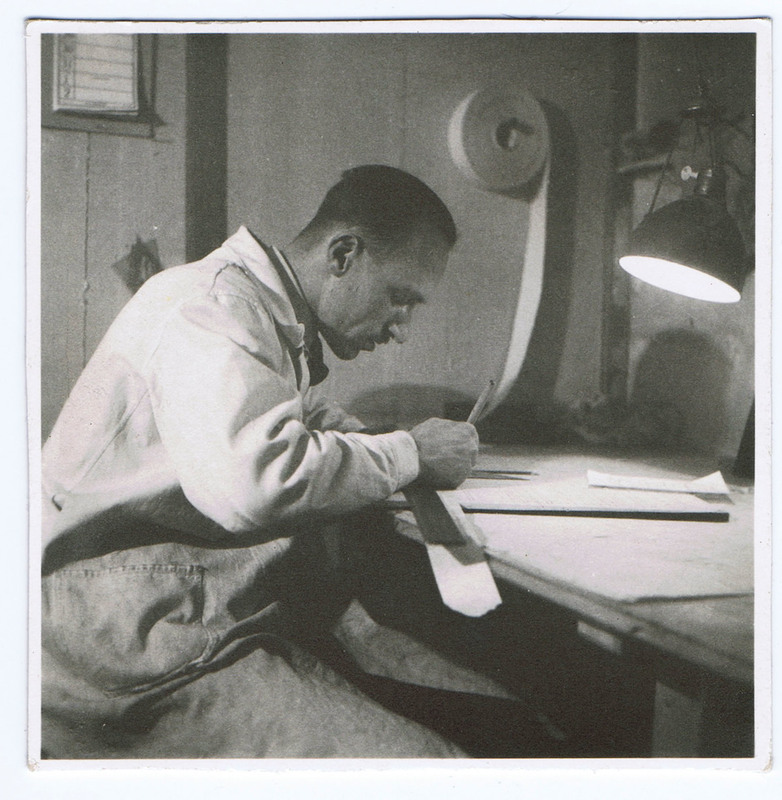 This technique of custom manufactured and free form stencil papers is still an artform, and only a very few still have the skill and mastery needed to perform this traditional method. Around 50% are still produced using this method, which we use mainly for refinishing or single pieces. However, there are even some of the new designs that are still produced in this way. In cases where patterns are manufactured multiple times, they get digitized and cut-out with a cutting plotter. Foil transfer is the only thing that is still done by hand each and every time! The main focus of the sand blasting technique is the production of artistically designed glass in a variety of styles, with the focus here being on Art Nouveau. This is complemented by our many historical and modern products, writing boards, hollow glasses, engravings and many more. Nanocoatings and color coatings as well as gold-coating and rare traditional workmanship techniques like frost patterns or craclee form the technical area of our product range. Despite the increasing advancements in technology many steps are still carried out by hand, and haven't yet been fully replaced by mechanical technologies. These circumstances always offer new opportunities in terms of design, and thanks to its innovative capabilities our third-generation family business also entered into the automotive industry. Developments and products can also be found, amongst others, in the aviation sector by notable airlines. 2M's second business area is the joinery that designs and manufactures high-quality furnishings for upscale interiors and workspaces. Being specialists in unique custom constructions, specific to each customers wants and needs, we are passionate about design and craftsmanship.